The Church has announced the manuals that will be used in Sunday classes during 2017. 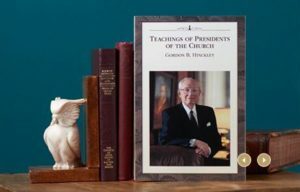 Melchizedek Priesthood and Relief Society: Teachings of Presidents of the Church: Gordon B. Hinckley. Learn about additional new resources for studying the teachings of President Hinckley. Adult Sunday School Gospel Doctrine: Doctrine and Covenants and Church History Gospel Doctrine Teacher’s Manual, Doctrine and Covenants and Church History Class Member Study Guide, and Our Heritage: A Brief History of The Church of Jesus Christ of Latter-day Saints. New members, investigators, and members returning to activity will study from Gospel Principles. Learn about all the additional new resources for studying the D&C and Church history. Aaronic Priesthood, Young Women, Youth Sunday School: Come, Follow Me: Learning Resources for Youth. The lessons will be updated online for 2017. However, the printed version will not be updated. Units that use the printed version of the curriculum should continue using the 2015 printed resources in 2016. You can download a printable PDF of the 2015 manual from the Come, Follow Me website, lds.org/youth/learn. Primary: Nursery Class (Ages 18 months–2 years): Behold Your Little Ones: Nursery Manual; Sunbeam Class (Age 3 years): Primary 1: I Am a Child of God; CTR 4, 5, 6, and 7 Classes (Ages 4–7): Primary 3: Choose the Right B; Valiant 8, 9, 10, and 11 Classes (Ages 8–11): Primary 5: Doctrine and Covenants and Church History. The theme for Primary sharing time in 2017 is “Choose the Right.” Leaders can find the 2017 Outline for Sharing Time and other helpful resources online. The outline is not available to order. Each ward and branch will automatically be sent 3 copies of it before January 2017. Only two curriculum items are new: Teachings of Presidents of the Church: Gordon B. Hinckley and the 2017 Outline for Sharing Time. 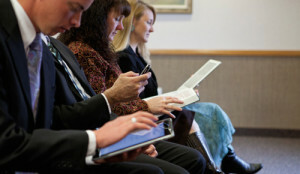 You can find all the manuals online at lds.org/manual and in the Gospel Library mobile app. Where possible, members are encouraged to use digital versions of these materials. If you haven’t used the materials online or in the Gospel Library app, now is a good time to experience the ease of preparing, teaching, and learning from these digital resources. If it is determined that members or teachers need printed copies, leaders should make a careful inventory of what printed materials are already available in the ward or branch and then only order printed copies for those who do not use digital versions of curriculum. Orders should be placed at store.lds.org no later than September 30 to ensure their arrival by January 1, 2016.